French filmmaker Rachid Bouchareb established himself as an international success with his films about historical violence, including 2006’s WWII drama, Days of Glory, and Outside the Law, a drama from 2010 based on the Algerian struggle for independence following that war. He also made a film in London in 2009 about the aftermath of a series of terrorist attacks in 2005. The blending of fiction with real-life events served Bouchareb well, but he has discarded this successful method of filmmaking in his American films, to their overall detriment. Though Two Men in Town is light years ahead of his American film debut, Just Like a Woman (2012), there is simply not enough relevance within the story of these characters and their suffering. It lacks the same ability to integrate relevance with personal drama that Bouchareb had with his European films, despite strong performances by the cast in the underdeveloped roles and their narrative. 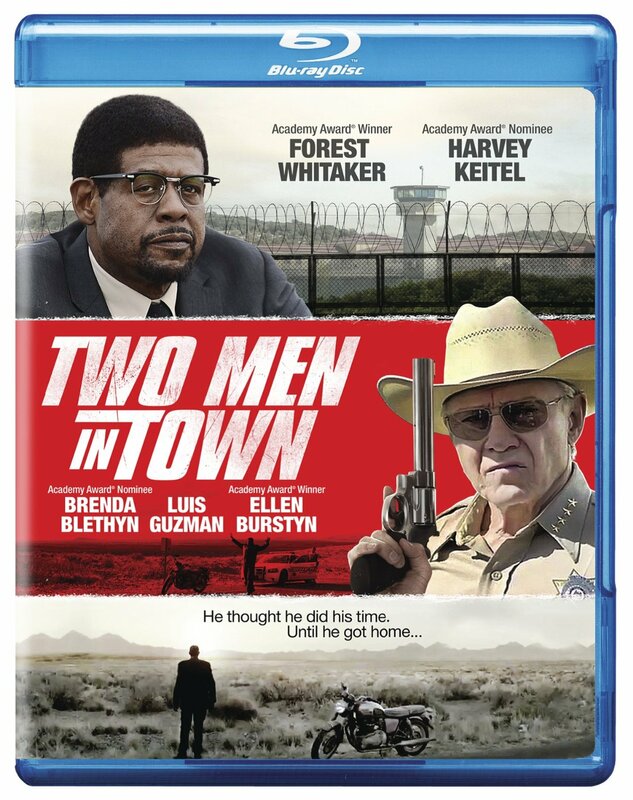 Adapted from a 40-year-old French film, Two Men in Town makes appropriate adjustments to relevantly integrate discussion of American immigration issues, though any commentary on the topic is quickly forsaken for character drama. This would not be so disappointing if the screenplay from Olivier Lorelle, Yasmina Khadra and Bouchareb provided these characters more opportunity for development, but the minimalism within the plot eventually deteriorates any reason to care, regardless of how effective many of the cast members are. Forest Whitaker has the difficult job of carrying the film, with the help of a stellar supporting cast, filling in the gaps of the screenplay with dedicated performances. Whitaker stars as William Garnett, an ex-con who finishes a lengthy prison sentence for murdering a deputy Sheriff with the hopes of starting his life over. Recently converted to the Muslim faith, Garnett gets an ordinary job working on a ranch, meets a local woman (Dolores Heredia), and has hopes of settling down. This simple lifestyle is quickly disrupted by the events of Garnett’s past, from an unforgiving town sheriff (Harvey Keitel) to a former criminal accomplice (Luis Guzman) insistent upon his return to a life of crime. The Blu-ray offers a high definition presentation, but it does little for the low budget quality of the film. Included in the extras is a brief featurette with Bouchareb, who describes his filmmaking methods and inspirations. Also included are theatrical TV spots.